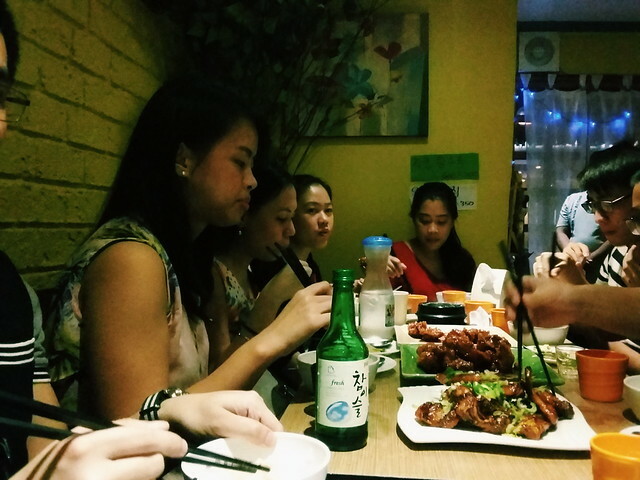 MOIZA is an unassuming Korean restaurant along Malvar corner Ma. Orosa Street in Malate, perhaps part of what still remains a busy, noisy, strip of bars and cafés. I almost got lost when I looked for it last night. 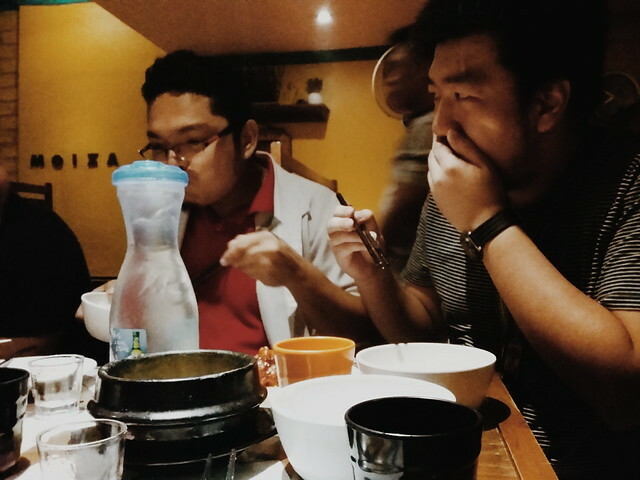 We had our mid-month "service dinner" there—a ritual consisting of eating out with the entire General Medicine service before the clerks and/or interns shift out. 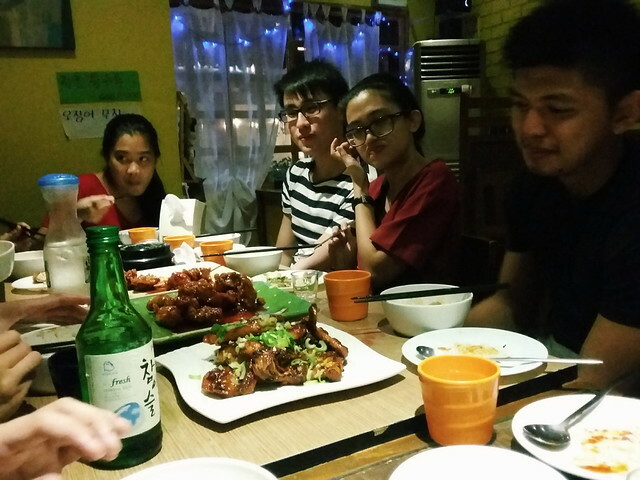 From the residents' point of view, the dinner is our way of thanking the students for taking care of our patients. Nothing can possibly repay what these students have sacrificed to save, say, a hypotensive patient from going into eventual shock and death. They have tirelessly followed up the labs, even pushed heavy stretchers, and helped us in our management plans. I love hearing their suggestions or disagreements with our present diagnoses. Of course, we hardly discussed our cases over meals, so Dr. Mean Roque, my senior, told me, "Bukas na lang tayo mag-dispo* rounds." Val Cua, my intern, overheard our conversation, and said, "Wow, Ma'am, saan kayo mag-didisco?" Raffy Legaspi and Butch Roque. Clariz, Dr. Mean Roque, Jaja Coralde, Sarah, Val Cua, and Aila. Sarah, Val, Aila, and Clems Sabitsana. 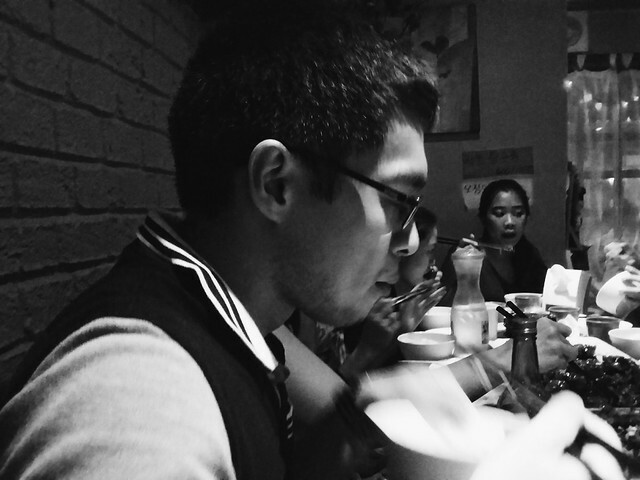 Danes Guevarra, with his healing shoulders (a private joke), savoring the relaxed conversations and the wonderful food.